The GLCM crew met at the hotel breakfast after a restful night’s sleep, trying to recover from jet lag and an eventful first day in Seoul. Departing from the Best Western Garden Hotel we loaded up on our tour bus and made our way through northern Seoul to the train station area, where our visit to the Exxon Mobil Korean Headquarters was located. 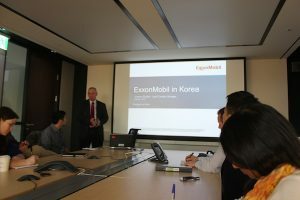 We were greeted by President and Lead Country Manager of Exxon Mobil Korea Mr. Graham Dodds. Mr. Dodds is a Melbourne electrical engineering graduate and gave us an interesting insight into Exxon Mobil in Korea and his 35 years with the company. 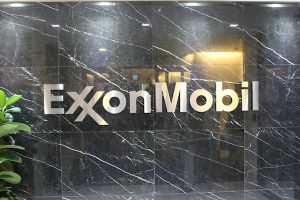 The first presentation gave us a background into Exxon Mobil’s presence in South Korea, which began back in the early 1970s. 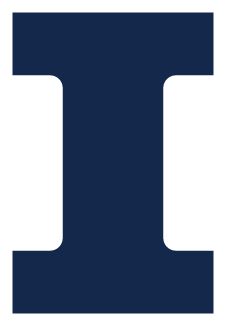 Typically, the team in Korea consists of about 100 native South Korean employees and 200 to 300 ex-pats from around the world. In Korea, Exxon produces about 700,000 barrels of lubricants. Mobil 1 oil has been very successful in Korea. Exxon has also had success in the chemical industry, by licensing chemical products to other Korean companies. Mr. Dodds also gave us an overview of the two oil platforms we will be visiting next Tuesday January 13, at the Hyundai Heavy Industries (HHI). HHI is Exxon Mobil’s general contractor who is building their oil platforms. One of the major platforms under construction is the Hebron topside deck, which will be towed across the ocean to Newfoundland, where it will be attached to the gravity based structure (GBS). The other platform is in Point Thompson, which will be taken by water to Alaska, to help in the USA oil and gas production. 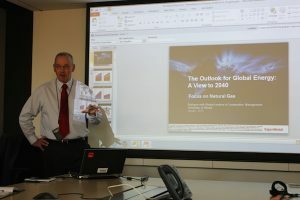 During the second presentation, Mr. Dodds discussed with GLCM the Outlook for Global Energy: a View to 2040. As the world changes, our energy needs also change and new technology is developed. There are two key ways the world currently acquires energy, the conventional route such as drilling for crude oil and the unconventional route such as renewable power or fracking for natural gas. The recent increase in fracking in the USA makes Liquified Natural Gas (LNG) a huge player in the world market. Although, with the recent drop in oil prices, the outlook changes. In the end, it becomes a supply and demand balance and an increasing need for energy around the world. A wonderful opportunity for us as emerging leaders in the civil engineering industry to combat the need for infrastructure. Mr. Dodds was able to give us great advice on how to approach our careers and use all of our experience to benefit our future roles. He told us how he was able to be an adviser for the Australia PM for a year, which turned out to be a year that he now can reflect on and realize how important it is to influence others. He has also had the opportunity to travel and work in the USA, Europe, South Korea and his home country Australia. With the experience abroad he showed us how diverse a career path can be and the multitude of opportunities that travel can lead to. 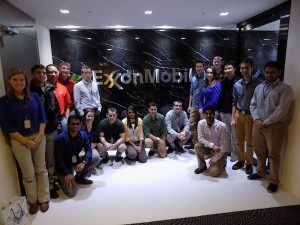 We had an enjoyable visit with Exxon Mobil and GLCM is very grateful to Mr. Dodds for his time and very intriguing presentations.